New Zealand based producer Caleb Cowie, aka K+Lab, has proven a position among electronic music producers inside bass-heavy genres like glitch-hop and ghettofunk. 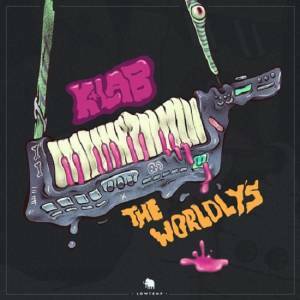 About to further demonstrate his unique imprint as a producer, K+Lab is set to release The Worldly's LP on October 14th through Lowtemp Music. Today is a special day, as we get a preview into this release entitled "Gunfight" featuring fellow kiwis, The Peacekeepers. "Gunfight" seems to musically induce the "fight or flight response" toward the inner-aggressor with intimidating basslines framed by mellowed breakbeats. Interpret it as you may...that's the wonder of music, after all. Hey, dude! I’m digging "Gunfight". Ironic contrast between the track title and the name of featured artist. Was that on purpose? Thanks man! It was a pleasure to work with The Peacekeepers and the vocalist P diggs is one of my favourite's on the planet! It was actually a complete accident the track title, although their solo tracks generally have ironic titles, I swear The Peacekeepers are all about peace and love though, haha! So, I got a little insight into what’s to come off of The Wordly’s LP from your preview video. “Gunfight” stands out as a more chilled tune - what do you anticipate listeners will gather from this release overall? I hope people will enjoy the diversity of the album, I really tried to bring in flavours from music that has influenced me throughout my whole life, it's a different approach to my last album "Spacedirt" which was essentially a straight up Glitch hop album. I think people will have their own favourite tracks but I hope they're open to listening to the rest, some of the tracks are very much journey songs that might not be great for djing but really showcase what my live show is all about. I understand that you use a keytar in your live performance… that’s so sick. What else does your live show consist of? More recently I've started playing electric guitar in my sets which has been fun, 10 years since I've shredded the gat on stage I forgot how good it feels haha but most of my set is essentially a dj set with Keytar basslines and leads, I like to chop things up on the MPD and do some finger drumming and I play an all original set, it's mega fun! Being that this is your first album release on Lowtemp Music. How did you first get involved with the label? I think it was around 4 years ago I had the pleasure of touring & NZ with Gramatik we did 4 sick shows back to back where I opened for him. We all got along and kept in touch so I kept sending him music and we found the right track to release with Lowtemp - "Super gravy". I was stoked when I asked Gramatik if he thought the album would be a good fit for Lowtemp - he said "The only criteria for Lowtemp is that the music is good" and he agreed to release it. I also heard you helped build the Glitch Hop scene up in New Zealand. I’d love to hear how that went. Well, that was the intention with the Record label I created ( junkfood recordings) I wanted to make a home for Glitch hop and funky bass music in NZ and we have a healthy little scene now, the hard thing with Glitch hop is it's so broad and hard to define but it's also what I love about it. I've recently come to the realisation that I can't do everything myself hahaa so I've taken a backseat from the label to focus on creating music. Having traveled across the world to play in front of bass freaks of all varieties, I’m interested to know if you notice any unifying qualities of the bass music cultures you’ve witnessed across the world. What makes the bass music scene unique in a world full of electronic music and what keeps you engaged with it after so long? I think it's a very accepting scene if I was to point out one quality that stands out it would be enthusiasm, I just love meeting like minded people that genuinely love the music and what we do, it's really rewarding. Collaboration is what keeps me engaged, it's the best way to push yourself, learn and make something cool others can enjoy. Click here to pre-order The Worldly's LP (release date: October 14th, 2016). See what K+Lab is up to on the K+Lab Artist Page.